The seventies was a golden age for rock music. Especially progressive rock. 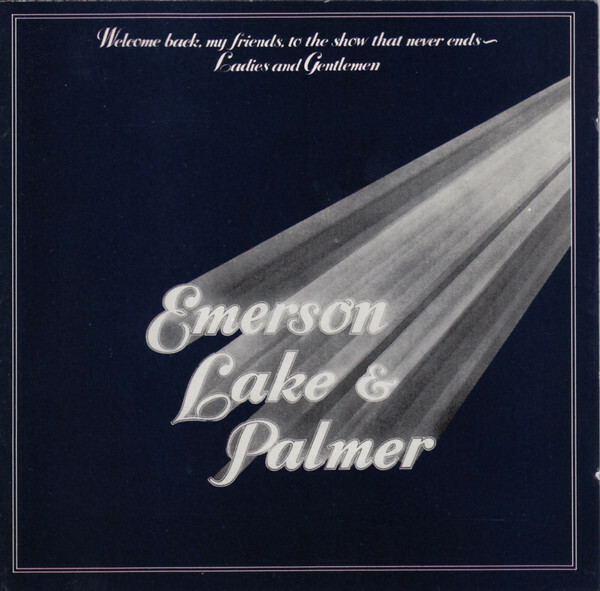 One of the giants of British progressive rock were Emerson, Lake and Palmer. 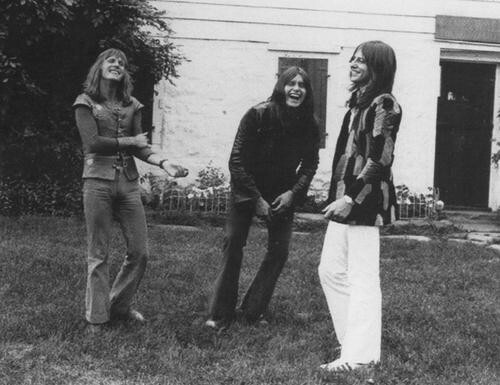 They were formed in 1970, and went on to enjoy commercial success and critical acclaim on both sides of the Atlantic. That was the case right up until Emerson, Lake and Palmer split-up in 1979. In Britain, two of Emerson, Lake and Palmer’s albums were certified gold, while another were certified silver. Emerson, Lake and Palmer were just the latest band to be under appreciated in their home country. That was a great shame. 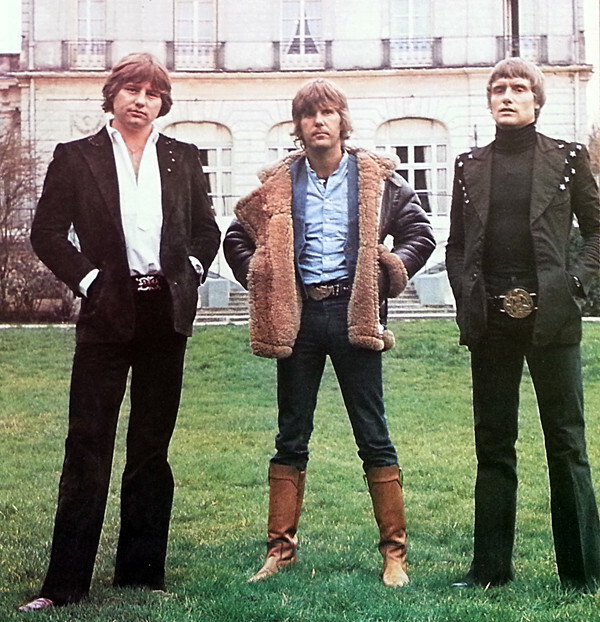 Emerson, Lake and Palmer were without doubt, one of the most ambitious and innovative of the British progressive rock bands. They released seven groundbreaking studio albums, where they pushed musical boundaries to their limits. That’s not forgetting the two live albums, Pictures At An Exhibition and Welcome Back My Friends to the Show That Never Ends… Ladies and Gentlemen. They’re among the six Emerson, Lake and Palmer albums that have been recently reissued by BMG. These six albums are Emerson, Lake and Palmer’s first four studio albums. This began with Emerson, Lake and Palmer in 1970, and then 1971s Tarkus, 1972s Trilogy and 1973s Brain Salad Surgery. They’re joined by Pictures At An Exhibition and Welcome Back My Friends to the Show That Never Ends… Ladies and Gentlemen. Each of the six albums have been reissued as double albums, with the second disc featuring bonus tracks galore. This reissue program has been overseen by the two remaining members of Emerson, Lake and Palmer, Greg Lake and Carl Palmer. They’re responsible for what is a lovingly curated reissue program, that does justice to Emerson, Lake and Palmer’s back-catalogue. Their story began as the sixties gave way to the seventies. Even with Emerson, Lake and Palmer well on their way to becoming rock royalty, they couldn’t have imagined that in 2016, their eponymous debut album would be reissued forty-six years later in 2016. That’s the case though. 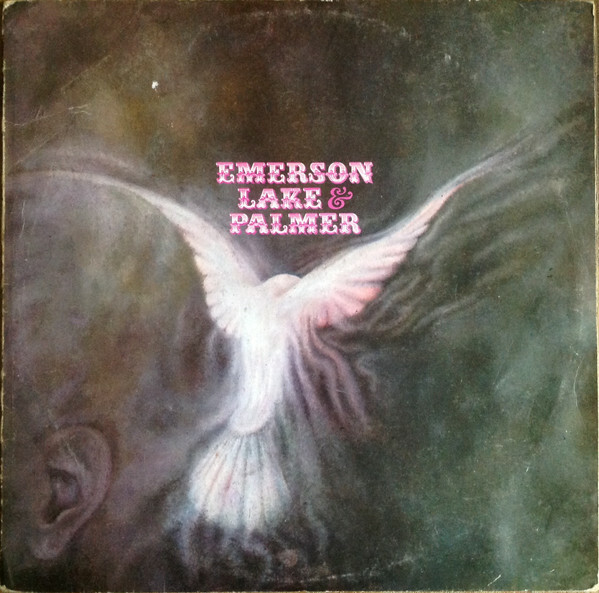 The reissue of Emerson, Lake and Palmer features the 2012 remaster of the album on disc one. Then on disc two, is The Alternate Album, which features Steven Wilson’s 2012 Mix. There’s also four bonus tracks, including Take A Pebble, Knife Edge and two different takes of Lucky Man. This is no different to the 2012 Sony reissue. The only difference between the 2012 and 2016 versions, is that 2012 version came with a DVD, which included various mixes. Ultimately, though, it’s up to music fans to choose which version they prefer. It’s a similar case with Tarkus. 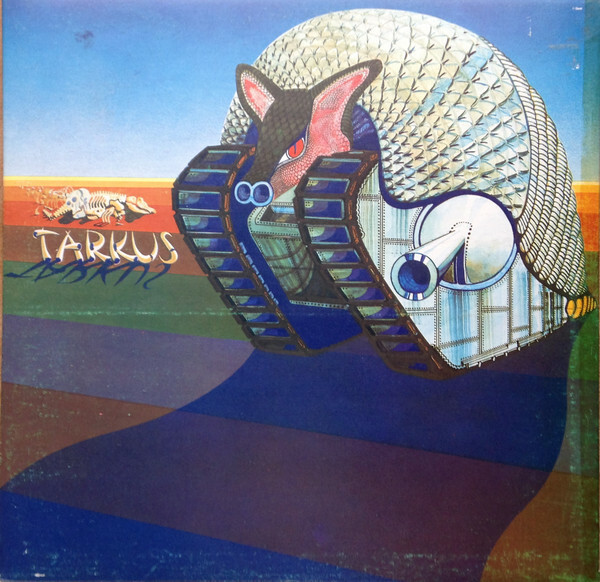 So it’s no surprise that Tarkus has been reissued as a two disc set. The first disc features the 2012 remaster of Taurkus. Disc two features The Alternate Album, which comprises Steven Wilson’s 2012 Mix. There’s also a trio of bonus tracks, including Oh, My Father, Unknown Ballad and an alternate tale of mass. Again, the track listing is no different to the 2012 Sony reissue. The only thing missing from the 2016 reissue, is the DVD. Despite the similarities between the 2012 and 2016 versions of Tarkus, was one of Emerson, Lake and Palmer’s finest albums. That was why, following the commercial success of Tarkus, Emerson, Lake and Palmer’s were keen to release Pictures At An Exhibition later in 1971. Trilogy was also recently reissued. Disc one of Trilogy features the 2015 remaster. This time around, there’s no bonus tracks on disc one. However, there is on disc two. It’s billed as The Alternate Album, that comprises the Jakko M Jakszyk 2015 Stereo Mixes. There’s a total of eleven tracks on disc two. This includes two bonus tracks. An alternate version of From The Beginning opens disc two, while a live version of Hoedown bookends the disc. 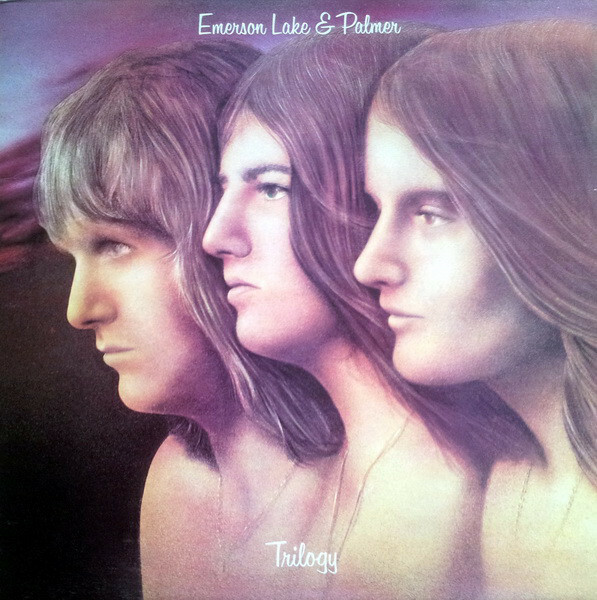 For both long-term fans and newcomers to Emerson, Lake and Palmer, the addition of The Alternate Album offers the opportunity to compare and contrast the two versions. Although it’s an interesting exercise, the original version always wins out. That was how Emerson, Lake and Palmer intended Trilogy to be heard. They were in the middle of the hottest streak of their careers. Incredibly, though things were about to get better for Emerson, Lake and Palmer though. Given Brain Salad Surgery was one of Emerson, Lake and Palmer’s finest hours, it’s fitting that the album was reissued as a two disc set. Disc one features the 2014 remaster of the album. There’s no bonus tracks on disc one. Then on disc two, is The Alternate Album. It features thirteen bonus tracks. They’ll be of particular interest to completists. This includes alternate versions of Toccata and the various parts Karn Evil 9. There’s also a instrumental of Brian Salad Surgery and first mixes Jerusalem and Still… You Turn Me On. Welcome additions are the original backing track to Karn Evil 9 3rd Impressio and When the Apple Blossoms Bloom in the Windmills of Your Mind I’ll Be Your Valentine. An interesting addition is the excerpts of Brain Salad Surgery which featured on a flexi-disc given away free with NME. However, there’s one thing that must be pointed out. All of the bonus tracks been released before, and featured on the 2014 three CD box set. Essentially, the only different between the 2014 and 2016 reissues, is the DVD that featured on the 2014 remaster is missing. 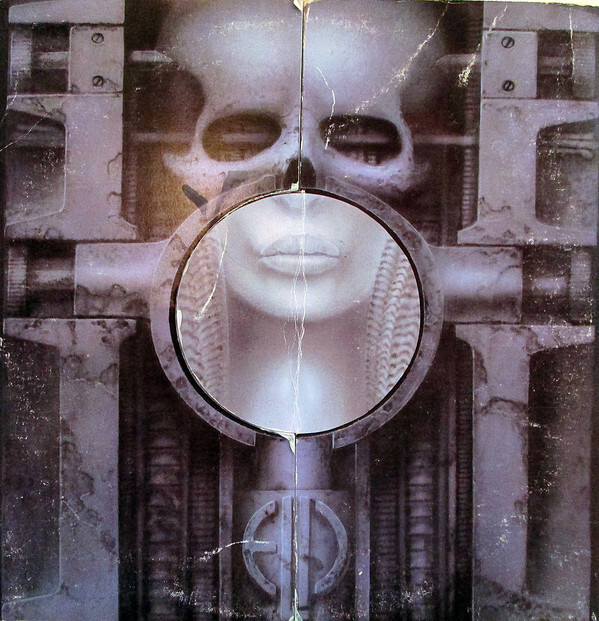 Again, it’s a case of choosing which version of Brain Salad Surgery you prefer. It’s a similar case with Emerson, Lake and Palmer’s second live album, Welcome Back My Friends to the Show That Never Ends-Ladies and Gentlemen. For many people, Emerson, Lake and Palmer released some of their finest music during the early years of their career. This includes their first four studio albums, 1970s Emerson, Lake and Palmer, 1971s Tarkus, 1972s Trilogy and 1973s Brain Salad Surgery. 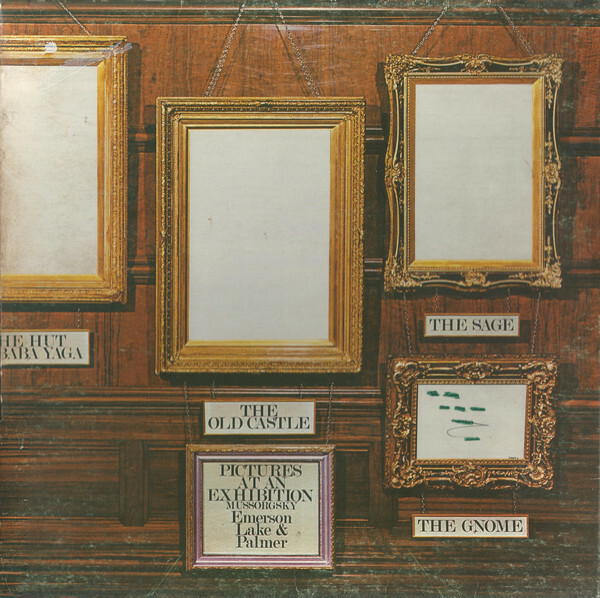 That’s not forgetting Emerson, Lake and Palmer’s first two live albums, 1971s Pictures At An Exhibition and 1974s Welcome Back My Friends to the Show That Never Ends… Ladies and Gentlemen. Each of the six albums have been reissued as double albums by BMG. These six albums feature Emerson, Lake and Palmer at their innovative and groundbreaking best.